Foam improves disinfection by increasing contact time. 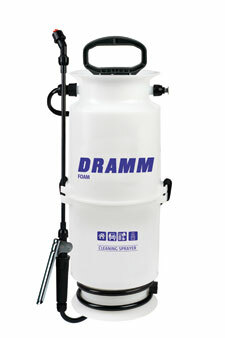 The Dramm FM20-30 Foamer connects to your existing compressor to create a rich, thick foam that persists. The FOAM8L sprays a foam that sticks to vertical surfaces. This video shows the unit in use with BioSafe's ZeroTol at a 1:50 rate and BioFoam cleaning algae on a polycarbonate wall in the greenhouse. The FOAM8L is easy-to-use. This video shows how to mix, pump and spray. 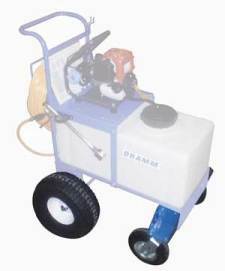 The Dramm FOAM8L is perfect for cleaning algae on surfaces. The Dramm FOAM8L compression foamer works great on vertical surfaces. The Dramm FOAM8L compression foamer works by combining compressed air with a foaming solution to create a rich foam, perfect for disinfection of even vertical surfaces.